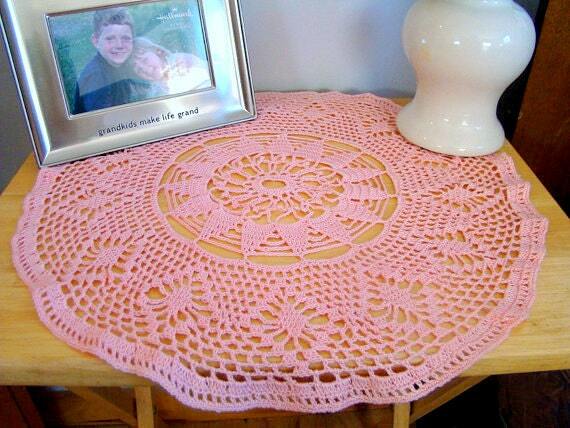 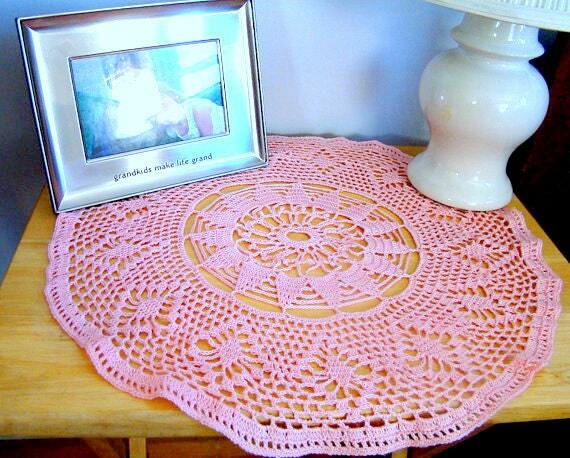 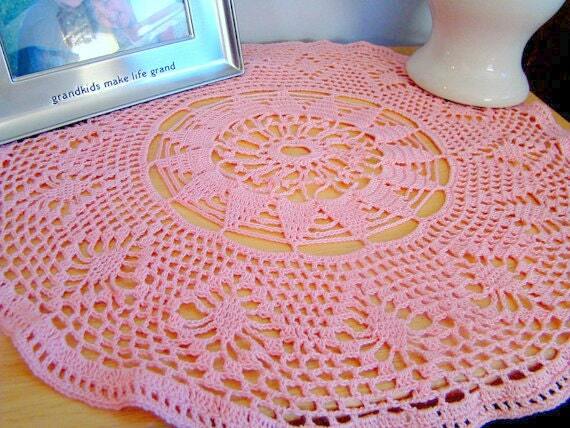 Add a touch of spring with this lovely pink crocheted doily. 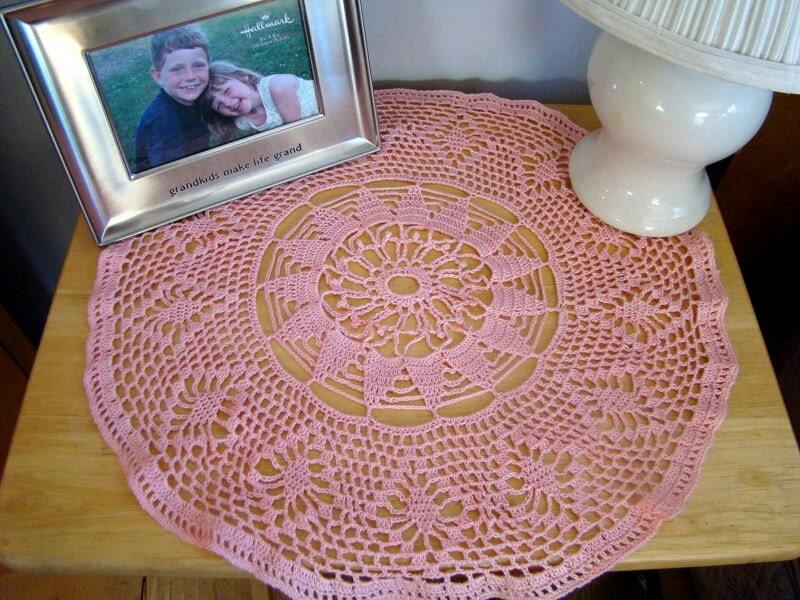 Elegant enough for your guestroom, dainty enough for your bedroom or child's room. 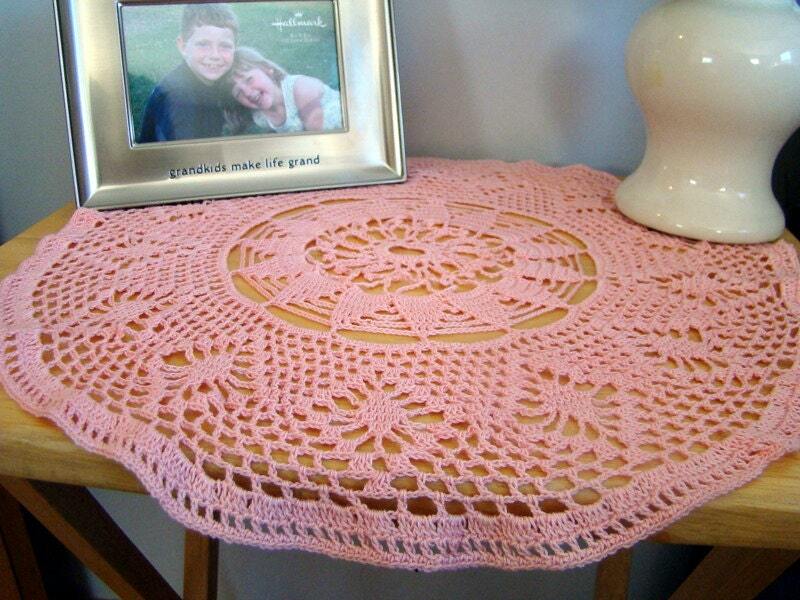 Dress up a nightstand, a side table or any spot in your home you'd like a pop of color!